Philip Blanton was tooling along U.S. 287 last month, less than five hours from his cancer-stricken granddaughter in Houston, when he saw the Texas state trooper’s flashing lights behind him. Blanton, already on edge from driving 24 hours straight from California’s Central Valley, was immediately nervous. He had a semi-automatic pistol on the passenger seat and a .38 Special in the trunk. The guns didn’t interest the officer who had clocked him driving 77 miles per hour where the speed limit was 70. He wanted to know if Blanton was carrying any drugs, a not uncommon occurrence, the trooper said, in drivers of cars with California license plates. Blanton did have drugs with him – though not for any villainous purposes. He’d brought a supply of medical marijuana, legal in California, recommended by his doctor for the chronic pain he suffers as a polio survivor. 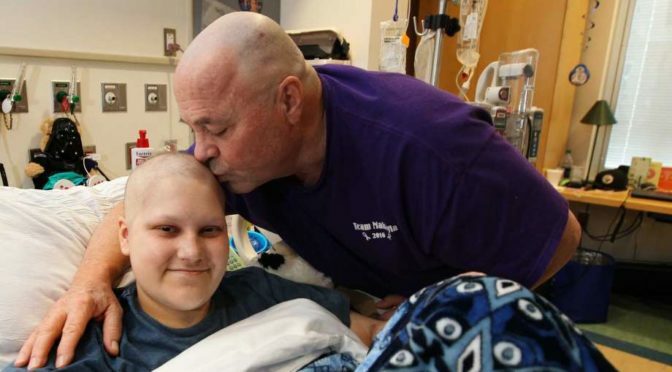 In all, he had about four ounces of the drug and dozens of marijuana-laced cookies, some of which he was bringing to his granddaughter Makaylas Farley, being treated at Houston Methodist Hospital for Stage 4 Hodgkins Lymphoma. The disclosure was all the officer needed to know. After a search of the car, he arrested Blanton and brought him to the Wise County jail in Decatur, a little northwest of Dallas, where he was booked on charges of felony possession of an illegal substance. He spent the night of Jan. 1 in jail before he was released on bail the next day. The matter is currently in limbo – it awaits review by the Wise County district attorney’s office – but it’s opened a window on the nation’s conflicting attitudes toward marijuana and the lack of a medical consensus about its purported benefits. Medical use of the drug, after all, is legal in 28 states and the District of Columbia, illegal in the rest. Texas is one of the rest. Even more confusing, the Trump Administration announced Thursday it will step up enforcement of federal law against recreational marijuana, now legal in eight states and the District of Columbia. The crackdown would not pertain to medical marijuana, White House spokesman Sean Spicer said. Hamilton said the officer who arrested Blanton did nothing wrong. In a state in which any use of marijuana is illegal, she said, he could face discipline for looking the other way. Blanton’s been using medical marijuana for more than 10 years to relieve post-polio syndrome pain that became worse the older he got. He has a curved spine, one leg shorter than the other and uneven hips, all of which contribute to sometimes excruciating back pain. At one point, he was taking four hydrocodone pills a day, one of the most powerful opioids. Thanks to the medical marijuana, he said, he’s now down to one. Unfortunately, there’s not a lot of scientific evidence to support the claims about marijuana’s medicinal benefits. What is clear is that Texas law could hit Blanton hard if authorities decide to prosecute his case. Wise County District Attorney Greg Lowery said this week if convicted, Blanton could be sentenced from six months to two years, plus a $10,000 fine, for the four ounces of pot; and for five years to 99 years or life, plus a $10,000 fine, for the 400 grams of cookies. He said the office should make a determination next week whether to bring the case to a grand jury. If it comes to that, Blanton plans to fight. He said he will not plea bargain. Blanton is also considering a civil suit. 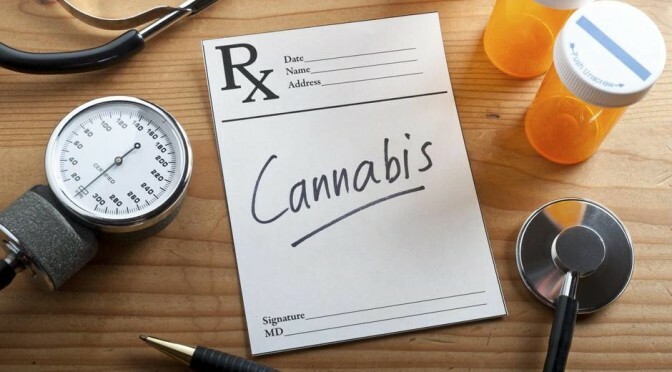 The state trooper not only confiscated his marijuana and California medical marijuana identification card when they put him in jail, they took his hydrocodone and other pharmaceutical drugs, which authorities only returned to him five days later. Hamilton, the legal scholar, said that was definitely a violation of Blanton’s rights. Without the drugs, he said, he couldn’t sleep or eat, suffered depression and anxiety, contracted a cold. Methodist hospital staff told him he was too sick to visit Makaylas, readying for a bone marrow transplant. He spent a week recovering in Huntsville, where his daughter and her husband reside, before he was healthy enough to return to Makaylas’ bedside. The good news is Makaylas’ transplant took and she’s now cancer-free. Just turned 21, she’s back home with her folks in Huntsville, hoping to return soon to college life at Sam Houston State University. Before he left Texas, Blanton spent two days in Austin, where three medical marijuana bills have been filed this legislative session. He shared his ordeal with staffers for legislators such as Sen. Charles Schwertner, R-Georgetown, an orthopedic surgeon and chairman of health and human services committee and Sen. Dawn Buckingham, R-Lakeway, an ophthalmologist and committee member. Blanton was encouraged by the meetings, but he says he’s not banking on a change in the Texas law anytime soon. 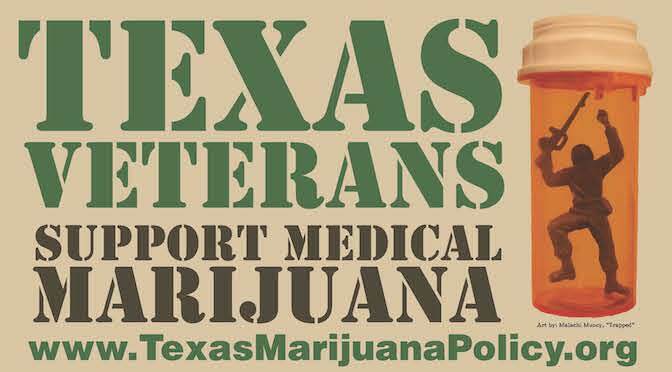 Previous PostTexas To Begin Accepting Applications To Dispense Medical MarijuanaNext PostBipartisan medical cannabis bill filed in the Texas House!